31.4 cu. ft. 30.0 cu. ft. The crossover SUV is one of the automobile industry’s most prized possessions. This vehicle is special because it offers a great balance of styling, efficiency, power, and performance. Just about every major brand has its own crossover vehicle, but INFINITI and Cadillac take the cake. For 2019, the INFINITI QX50 and the Cadillac XT5 are rolling off the lots with sophistication and elegance. Here is a quick breakdown of these two modern marvels of innovation, but only one will come out on top. Let’s take a closure look below. The 2019 INFINITI QX50 has muscular lines and sweeping curves from every angle. This vehicle has a brilliant exterior design thanks to all of its pristine accents. Chrome is used in the right abundance as this material perfectly hugs the door handles as well as straddle the windows. The QX50 possesses a double-arched grille, and the iconic INFINITI logo is prominently displayed. This vehicle comes in many trim levels, including the PURE all-wheel drive and the LUXE. Illumination is at a premium here thanks to its Architecturally slanted LEDs. The LEDs provide a piercing glare under any weather condition. Unlike many of its competitors, this SUV sports a phenomenal asymmetrical design that’ll garner plenty of attention. The 2019 Cadillac XT5 is short, bold and husky. Car enthusiasts will love that there are numerous trims to choose from, including Standard, Luxury, Premium Luxury, and Platinum. For better balance and handling, wheel sizes come in 18 inches as well as 20 inches. The 2019 XT5 also comes in many radiant colors for the exterior. This includes dark granite, red horizon, silver metallic, stellar black, and bronze dune. The rear of the vehicle could use a bit of updating thanks to its lack of character, but Cadillac’s signature grille makes up for it in the front. The 2019 INFINITI QX50 has a driver-centric cabin that’s laced in luxury. This interior cabin has a clean and sophisticated layout as all of the controls are in arms reach. Elegant surfaces with a tailored appearance are what consumers will receive thanks to the open-poor wood accents and tailored-leather stitching. This cabin has no weaknesses, and it offers at least 65.1 cubic feet of cargo space. The QX50’s asymmetrical design perfectly matches its exterior to perfection. Implemented into this body is a premium Bose audio system. This system is very immersive as it provides up to 16 aluminum speakers. The 2019 Cadillac XT5 also sports premium leather seats. This cabin is very intuitive, but it can feel a bit cluttered at times. The Cadillac-user experience is on full display here as the cabin hosts wireless charging, an infotainment system, and interior accents. Its front-row seats are heated and cooled for pure comfort. Depending on the model of choice, this vehicle will come equipped with a Bose audio system, a powered sunroof and a leather-wrapped steering wheel. The QX50 stands out when it comes to convenience thanks to its remote-engine start and its intelligent climate control. This SUV also offers hands-free access via a powered liftgate. When it comes to safety, the QX50 provides an abundance of preventive features such as blind spot warning, backup-collision alert, and forward-collision warning. Cadillac’s XT5 offers a backup camera and surround vision for optimum viewing. This vehicle also provides plenty of preventive-safety features, including pedestrian braking, lane change alert, and lane departure warning. In the end, the 2019 INFINITI QX50 simply offers more bang for your bucks. From a technological and practical standpoint, the all-new QX50 takes the crown for being the overall winner. 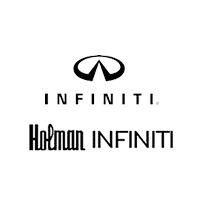 If you’re interested in this modern masterpiece, then visit Holman INFINITI for a test drive.